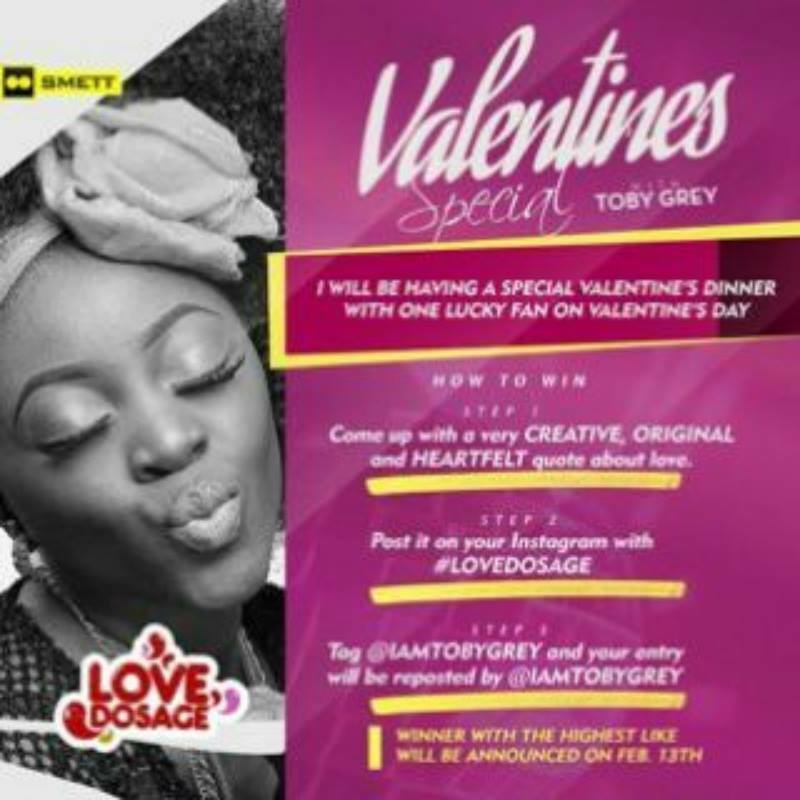 TOBY GREY will be having a special valentines dinner with one lucky fan on Valentine's Day. All you need to do is very simple. Step 1 • come up with a very CREATIVE, ORIGINAL and HEARTFELT quote about love. Step 2 • post it on your Instagram using the hashtag ‪#‎Lovedosage‬. It will reposted and the highest likes ON HER PAGE will be announced on the 13th of February.